Increased employee mobility (63%), satisfaction (56%) and productivity (55%) dominate as the top drivers of BYOD. These employee related drivers are considered more important than reduced costs (47%). 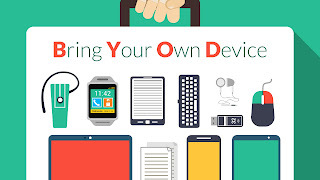 Security (39%) and employee privacy (12%) are the biggest inhibitors of BYOD adoption. 20% of surveyed organizations have suffered a mobile security breach, primarily driven by malware and malicious WiFi. Security threats to BYOD impose heavy burdens on organizations’ IT resources (35%) and help desk workloads (27%). Despite increasing mobile security threats, data breaches and new regulations, only 30% of organizations are increasing security budgets for BYOD in the next 12 months and 37% have no plans to change their security budgets. 1. Create your policy before procuring technology: To effectively use mobile device management (MDM) technology for employee owned devices Policy must precede technology. Also note that these policies will have broad corporate-wide implications for IT, HR, legal, and security. 2. Find the devices that are accessing corporate resources: Companies must completely understand the current landscape of mobile device usage. Doing this will require using a tool that can communicate continuously with your network environment and detect all connected devices connected. 3. 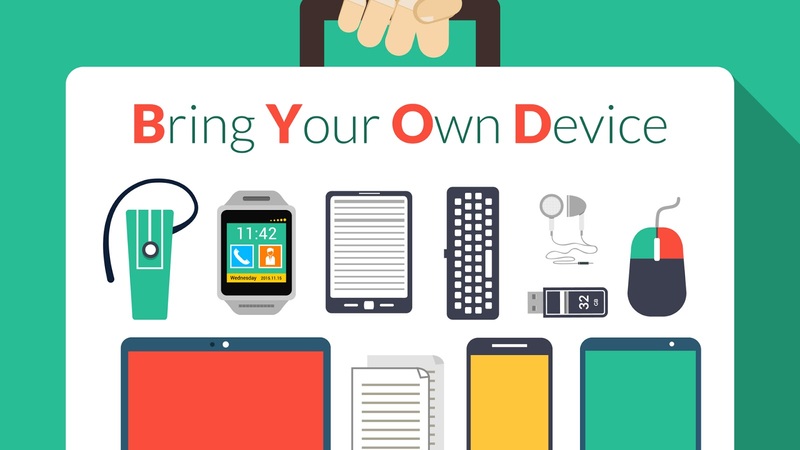 BYOD Enrollment for employees should be simple: Complexity tends to breed non-compliance. To address this issue, the BYOD program should use technology that allows for a simple, low touch way for users to enroll. The process should also concurrently configure the newly enrolled device. 4. Configure your devices over-the-air: To optimize efficiency for both IT and business users, devices should be configured over-the-air. Policies to restrict access to certain applications should also be in-place. 7. Keep personal information separate from corporate data: Corporate apps, documents, and other materials must be protected if the employee decides to leave the organization. Personal email, apps, and photos, however, should be left untouched. 8. Manage data usage: The organization should be able to track in network and roaming data usage on devices, generating warnings should a user goes over their data usage or stipend limit. · Providing a simple way to be alerted when a new OS is ready for installation and making it a self-service function. 10. Enjoy the return on investment (ROI) from BYOD: Although BYOD shifts responsibility for purchasing devices to employees, it’s worth considering the big picture and long-term costs for your organization.